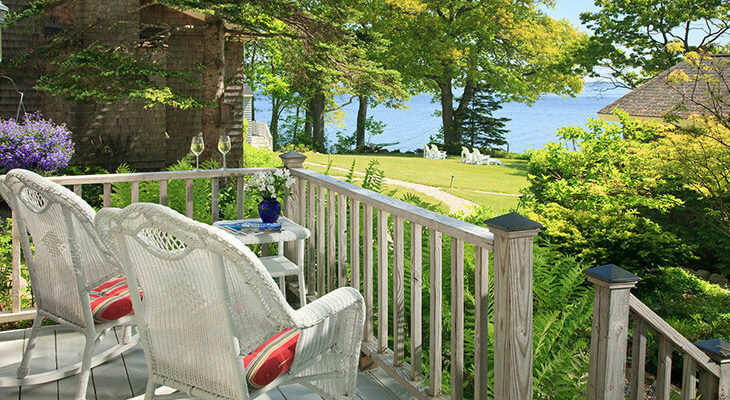 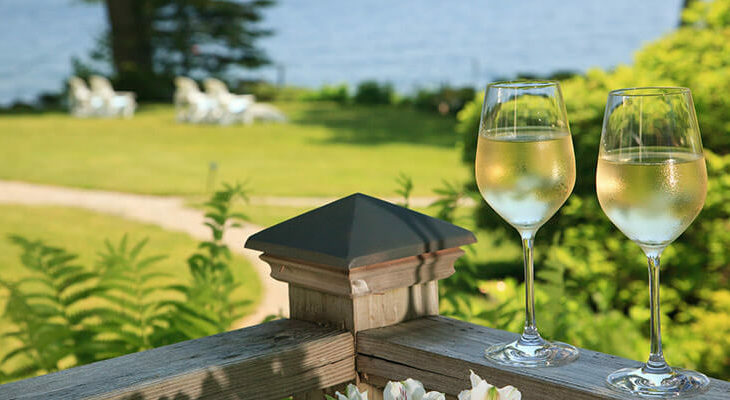 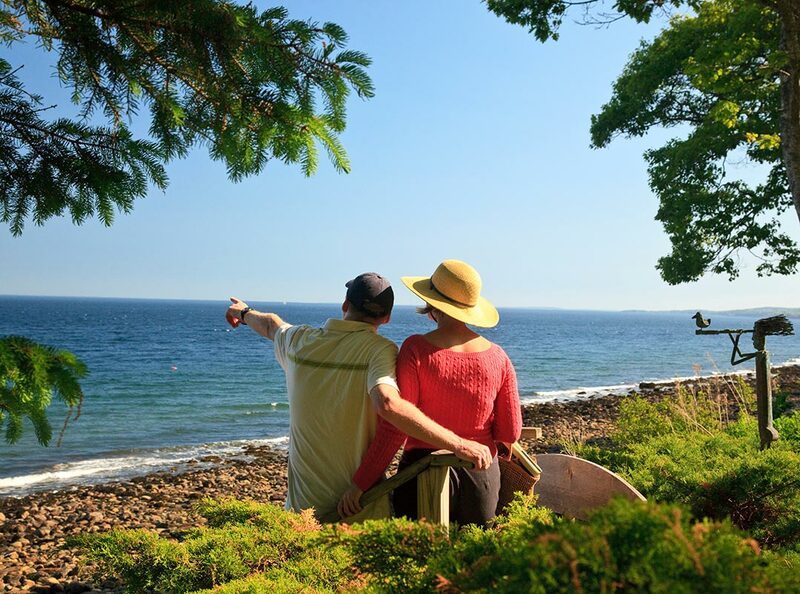 Tucked away at the end of a quiet path, with views of the ocean through a lovely garden and trees, the Hopper Cottage is the perfect place to elope to Maine. 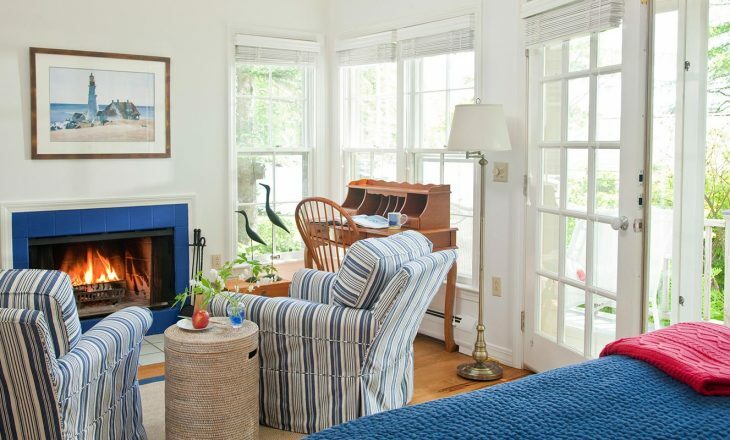 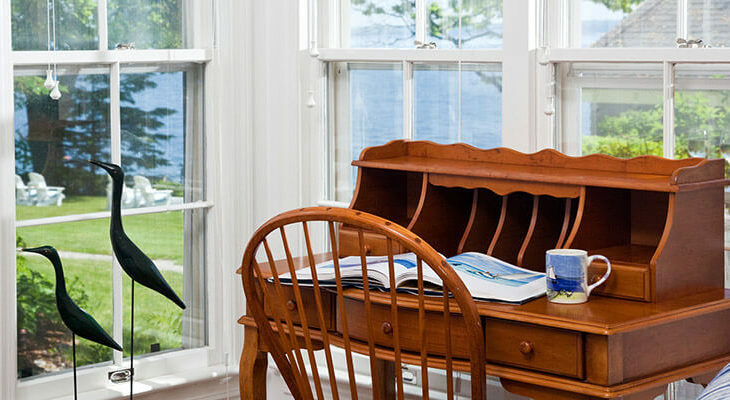 The Edward Hopper Cottage features a long wall of ocean facing windows and is decorated in summer blues and white. 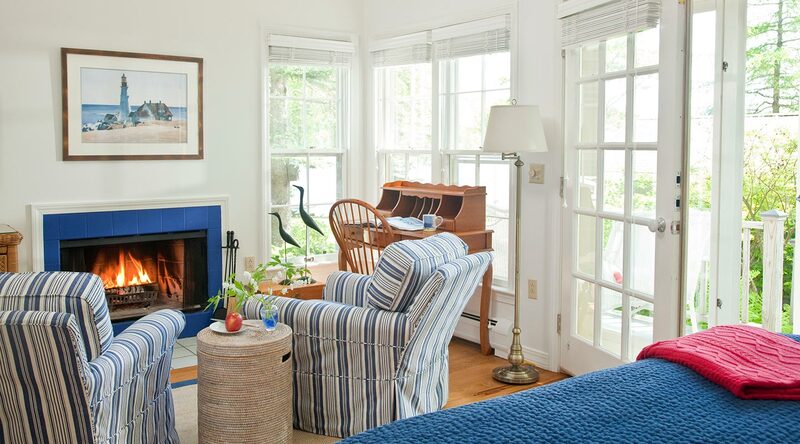 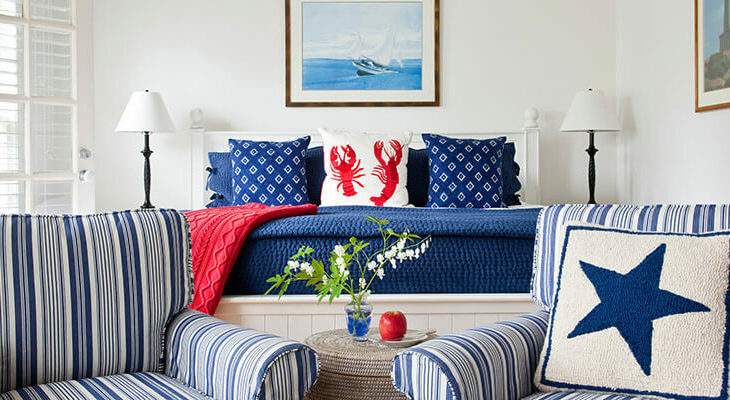 Lounge in your king bed under a cozy down comforter or sit in front of your wood burning fireplace while you watch the sunrise over the ocean.